“BOOM! 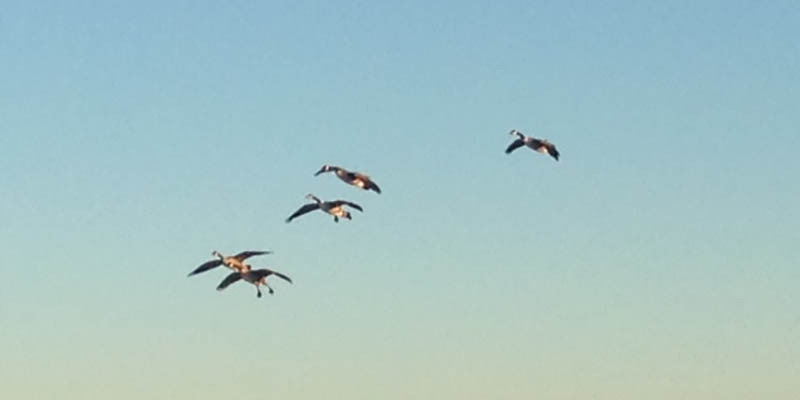 Boom Boom Boom…” Out of the seven geese we killed four, and I know two of them fell to my shotgun. After several hoots hollers and high-fives, we nestled back into our makeshift blinds for what we hoped would be another round of shooting. Jason is all smiles with his first goose of the 2015 season. Early goose season is an absolute riot. In my state of Michigan it begins September 1st and lasts for fifteen days. At this point we are hoping to kill all of the local geese because they are generally a nuisance contaminating public beaches and golf courses, and driving lakefront homeowners insane. Early goose season does not have to be an expensive endeavor, but there are a few key pieces of equipment that are necessary. I prefer to hunt geese with the biggest possible weapon allowed, so I use a 3.5 inch 12 gauge. In the early season they are not very fat and their feathers have not completely filled in yet, so a good square head shot on a goose should usually do the job. 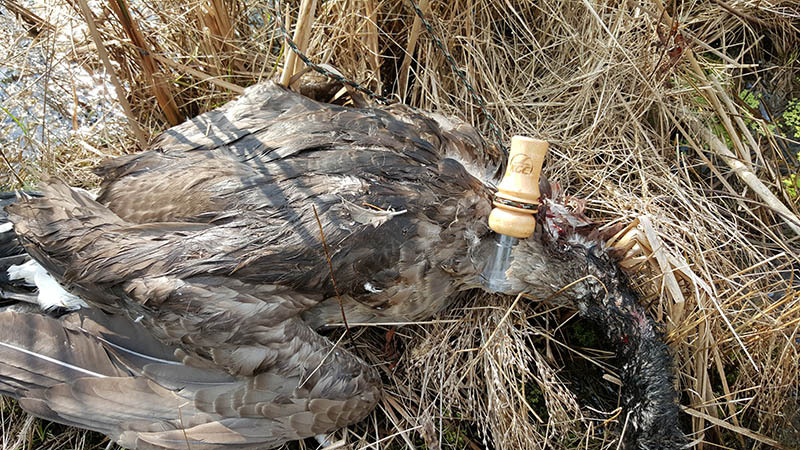 That being said I like an ultra-tight choke tube because we do a lot of past shooting in the early season. I of course prefer to be in the “X” and waiting for them where plan to land, but it doesn’t always work out that way. That’s why I like the ability to shoot them far. 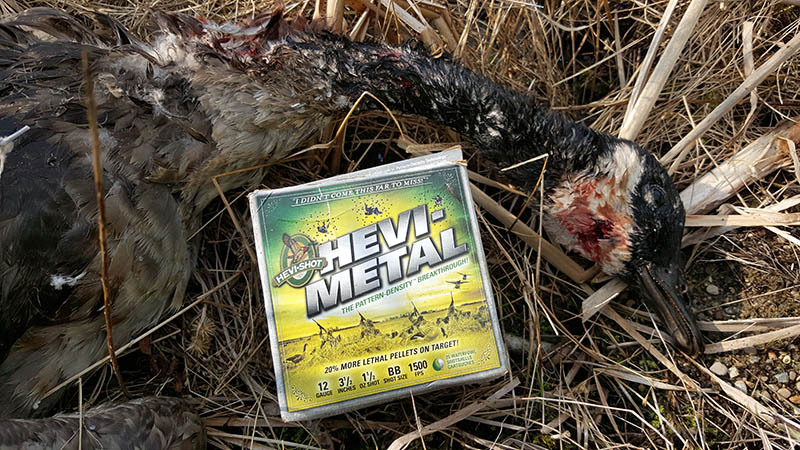 Be sure to check local regulations, in my home state of Michigan we need to waterfowl hunt with steel shot. I use steel #2 goose shot. High quality shot is important when hunting geese. I prefer to early goose hunt in crop or hay fields. That being said, I generally find myself laying down in these wet soggy early morning fields. I do not own a layout blind although one is on my Christmas list, so I do the next best thing and make myself a temporary blind. Natural camouflage works wonders when trying to fool the geese. It’s important to have waterproof clothing in order to stay dry and comfortable. I recommend early season goose hunting in ScentBlocker Drencher rain gear because their camouflage patterns are top-notch and I know for a fact this stuff is watertight. When the fields are dry, I prefer to use the lightweight ScentBlocker FeatherLite gear. Decoys are also important to early goose season. I like to set up a “paw print” style decoy pattern where I will have 4 or 5 small family groups of goose decoys set up with plenty of room for others to land in between them. I will either way in the bottom paw print of decoys, or have them behind me depending on the wind speed in hopes of a nice headshot at any landing geese aiming to come into the pocket I’ve created. Field decoys, shells, decoy socks, hand flags are all types of decoys and important accessories when early goose hunting. Most early goose hunts involve a hunter or hunters scouting for weeks prior to find out exactly where the birds are landing and eating. High quality optics are essential here. Once a regular flock or two of these has been located, the trick is to simply sneak out and stay camouflaged and wait for them to land. It is of course not as easy as it sounds but certainly doable and worth the effort. I’ve spent many beautiful mornings sitting over empty fields because I did not scout properly when my friends miles away, limiting out and back at the diner having coffee. Proper scouting is very important to a successful early season goose hunt. Goose calls of course are important when early season hunting, but what is equally important is knowing how to use them. If the birds are already feeding in a certain field, there’s no sense going out there and calling to them when they plan on landing anyway. Sometimes, not always, but sometimes a well-meaning hunter will call too much in the early season and end up scaring birds away. I prefer to flag them or use my Wingman motorized flapping decoy to get their attention and will aggressively call to passing by birds, but if the flock looks like they’re going to land in my direction I’ll just sit quiet and wait for my shot. A good call is worth it’s weight in … feathers! And in Jason’s case jerky. Early goose season is a great time to get out and enjoy God’s creation. 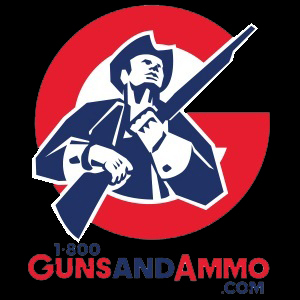 It is also a wonderful time to become the neighborhood hero and rid your family and friends of nuisance geese. Bug spray is always recommended because ticks and mosquitoes can still be going strong come September. I prefer ScentBlocker BugBlocker sprays. Whenever we shoot geese I volunteer to keep them all for jerky that I share with whoever else was in the hunting party. I will breast out the geese, wash the breast meat clean and freeze it for a few hours. When half-frozen I will pull it out and slice it thin on my meat slicer followed by a bath over night or two in my soy sauce marinade. I will then pull the meat out dust it with a salt pepper and garlic mixture and throw it on the dehydrator for some of the best jerky I’ve ever eaten in my life. 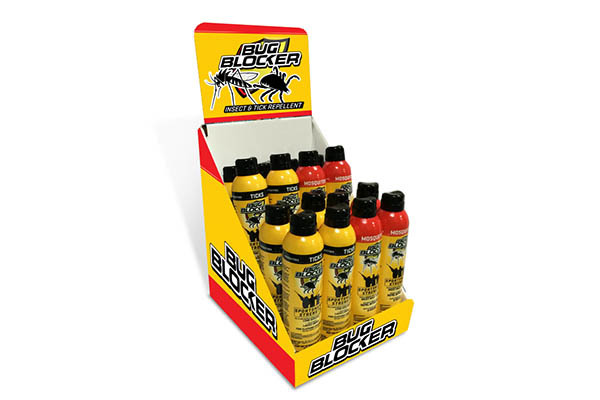 BugBlocker prevents ticks and biting insects. Goose hunting it’s really a lot of fun and it’s a great way to also introduce youth or curious newcomers to the outdoors. 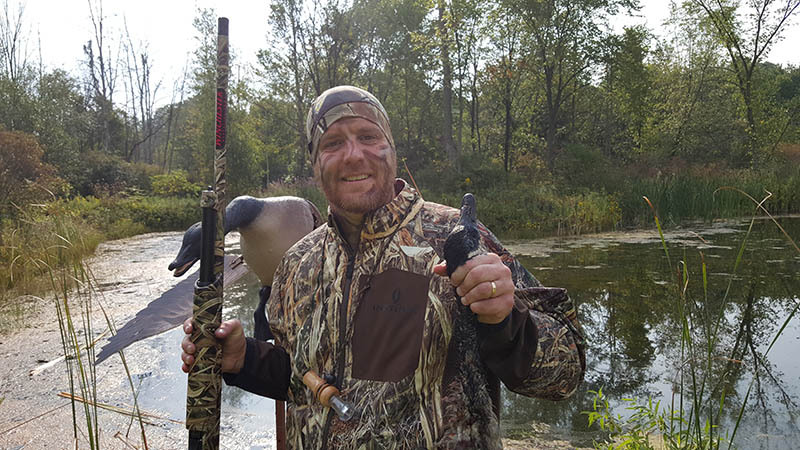 Any sort of waterfowl hunting is much different than big game hunting. When waterfowl hunting people do not have to sit still do not have to be quiet and do not have to worry about their scent. They can tell jokes & laugh drink coffee and eat and more or less enjoy this social experience shrouded in an outdoor sport. My own children prefer waterfowl hunting to any other type of hunting. When I see the look on their faces and the joy in their eyes when they shoot the first goose of the season, or drop a duck out of the sky, I fell so much happiness inside. Try early goose hunting this year. You don’t have to spend a fortune, but make sure you have these essentials covered. 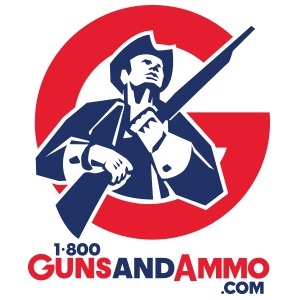 Have fun, be safe, and shoot straight!